Wheal Rose is a 300 year old stone farmhouse extended in the 1970s. 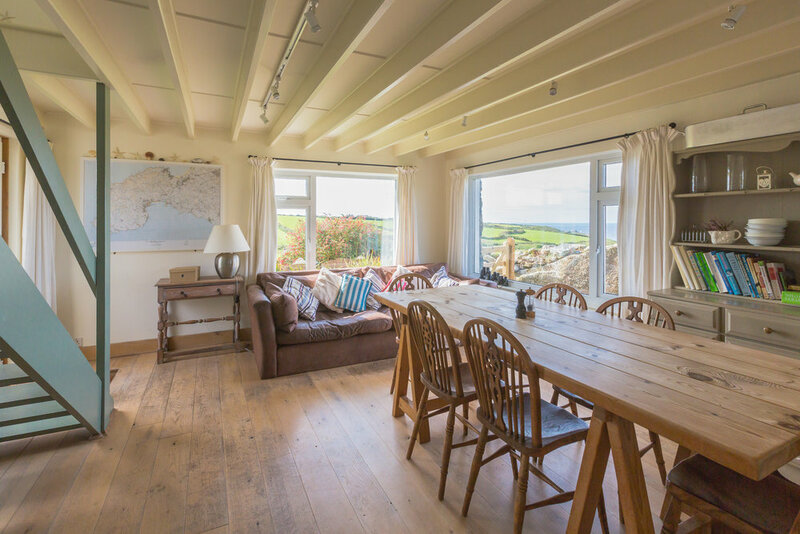 The house sleeps up to 8 people (plus 1 baby) with plenty of space and spectacular views over the Atlantic to the lighthouse at Pendeen Watch. The dining room has been opened up into the well equipped kitchen and given a lovely oak floor and a large dining table. 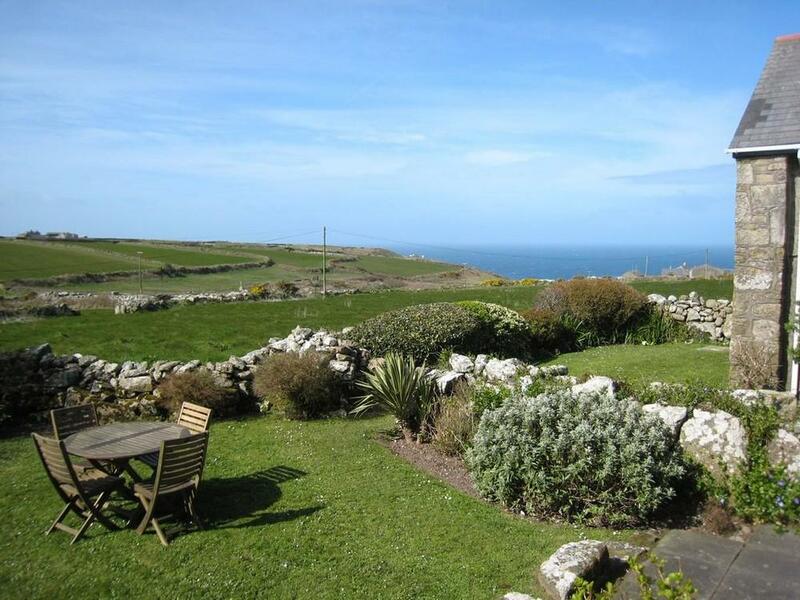 At breakfast, lunch and dinner you have stunning views across the ancient walled fields to the Atlantic and the lighthouse at Pendeen. There is a large sofa by the windows to stretch out on with a book. The spacious sitting room is warm and cosy with a wood burning stove surrounded by sofas and antique bergere chairs. For entertainment there is a TV with Freeview, DVD and video player. There is also a door to the boot room, the perfect place for wetsuits or muddy boots and a good bedroom for your four legged friend, if you have one. There is a downstairs loo at the end of the boot room. There are two sets of open tread staircases - the first leading from the dining room to bedroom one with a king-size bed and spectacular views on two sides. Next door is a bathroom comprising washbasin, bath (with over bath shower) and wc. Bedroom two can be accessed by either staircase and has a king-size bed. 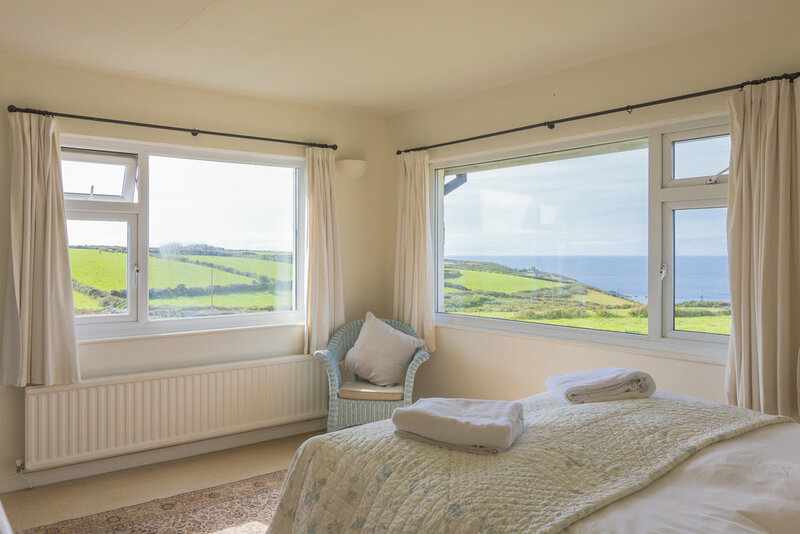 This beamed bedroom has views from the three cottage windows. The second open tread staircase also leads to a twin bedroom which has two 3 foot single beds and a view across the fields. Next door is a small bedroom with a bunk bed which also has a view across farmland. 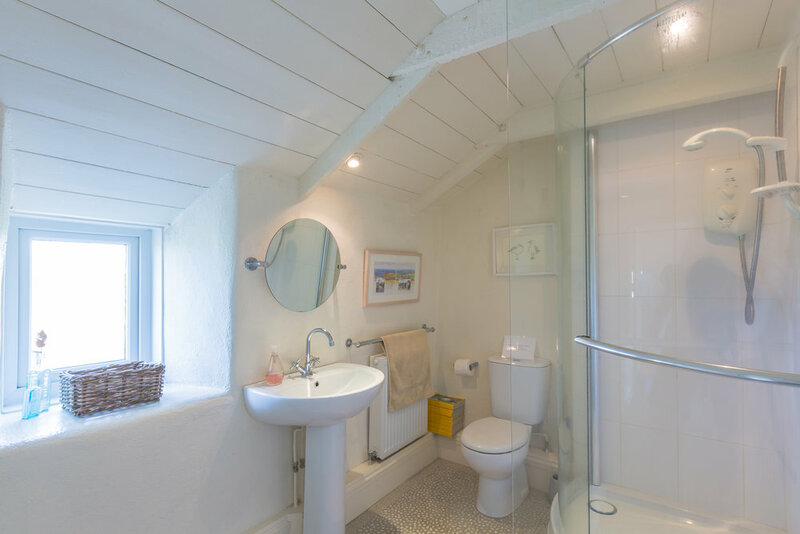 On this landing is the second bathroom with a large shower, washbasin and a wc. All bedrooms have white cotton bed linen and towels. There is an enclosed garden with a Weber barbecue and garden furniture. Parking is available for up to three cars beside the house. 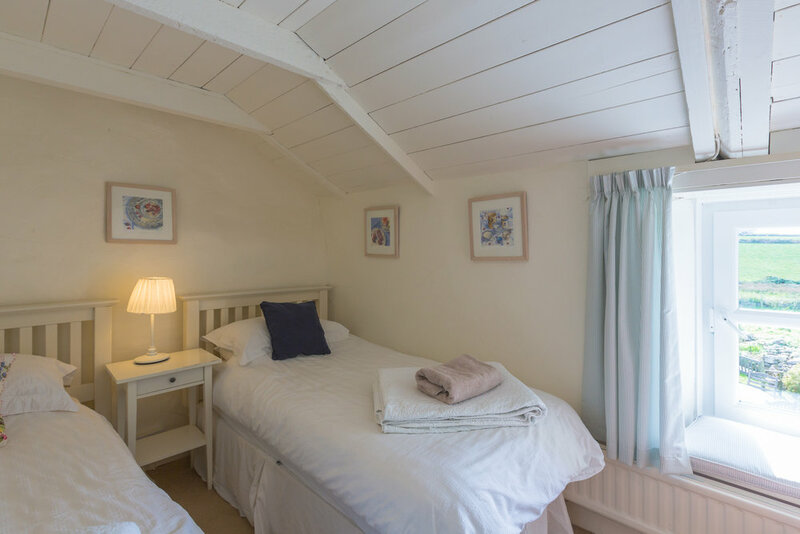 Electricity, oil-fired central heating and hot water are included in the rent along with bed linen, towels and tea towels. Please note beach towels are not provided.